Sometimes, life can turn in an instant. Just ask Brittny Tripicchio, who thought she had done just about everything after putting her master’s degree on hold and leaving the sorority back on campus. About four years ago, she took responsibility for her sister Jenna, then only 4 years old, and packed up and moved from Texas to the Ozarks after their grandmother agreed to help. Unfortunately, the plan hit a roadblock after their grandmother fell ill, leading to the real possibility that the state foster system take custody of Jenna. Fortunately, the Boys & Girls Clubs of Springfield provided a significant assist, thanks in part to your donations to the Price Cutter Charity Championship presented by Dr Pepper. The PCCC is an annual PGA Web.com Tour event that aids numerous children’s charities, with a record $1 million-plus distributed last year alone. 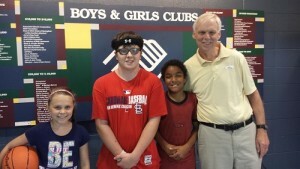 BOYS & GIRLS CLUB OF SPRINGFIELD: The mission of the Boys & Girls Clubs of Springfield is to provide programs that guide and direct youth from all backgrounds with special concern for those from at-risk circumstances. Their number is 417-862-9249. FOR BUSINESSES: Restaurants, clothing stores and entertainment stops are asked to donate a gift card with at least a $25 value in the name of your charity of choice to benefit the charity in the Golf Ball Charity Auction. FOR GOLF FANS, WIN PRIZES: The purchase of a $25 ticket means a four-day pass to the PCCC on Aug. 13-16 at Highland Springs Country Club as well as daily chances to win gift cards from the local businesses. You’re also automatically entered to win a $10,000 prize and a 2015 Ford Mustang. WHEN & WHERE: The PGA Web.com Tour is Aug. 13-16 at Highland Springs Country Club, with events beginning in late July. Brittny is now 24 and, while she earned a bachelor’s degree, she still would like to finish her master’s. “I was in a sorority and living the typical college life. Overnight, everything changed. I didn’t know how to pay a bill. I didn’t know how to schedule a doctor’s appointment,” Brittny said. Fortunately, the Boys & Girls Clubs of Springfield reached out its generous arms. The mission of the Boys & Girls Club of Springfield is to provide programs that guide and direct youth from all backgrounds with special concern for those from at-risk circumstances. Through social, physical and educational development activities, the Boys & Girls Club of Springfield teaches youth the values of life, strengthens their self-esteem and makes them better citizens of our community. Offering individual and group activities, programs are based on principals of behavioral guidance and targeted to achieve social, health, educational, vocational, character and leadership development. Opportunities offered include: leadership; education; music; technology; community service; special events; fitness including swimming, basketball, baseball, tennis, golf and dance; field trips; counseling; mentoring; job training and many others, including applying for college scholarships through the clubs. These opportunities offer young people much more than just a safe place to be year-round when school is not in session. Youth ages 6 to 17 can be part of the program because there is not a specific criteria required. 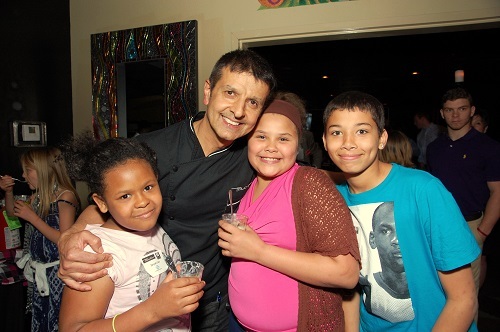 The Boys & Girls Club of Springfield has a diversity of youth from all over the surrounding communities. 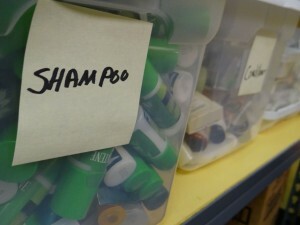 Each of its three Springfield units has a teen center with a full-time director, and the teens spend most of their time – when they are not in the gym – outside the Clubs with programs especially for them. They also have a pre-teen center for the tweens, with their own tween staff leadership. 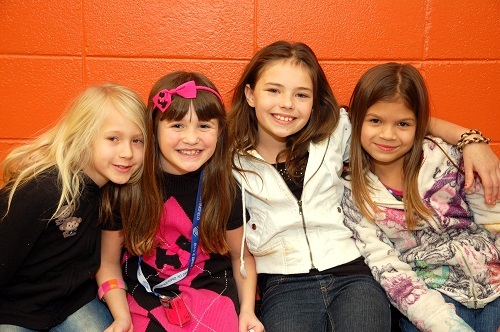 The younger kids follow a schedule and rotate through program areas and special events, as well as field trips throughout the day. The units are open Monday through Friday during the school year and in the summer. 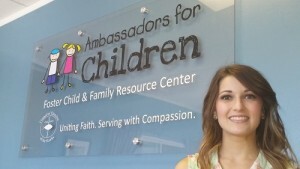 At Ambassadors for Children, helping kids affected by neglect and abuse is priority No. 1, Director Denee Fay says. He could have thrown his hands up in the air and walked away. That would have been the easy thing to do, after all the challenges he and his two younger siblings had endured. Their lives had meandered to foster care and removed from almost everything familiar. However, in a wonderful reminder that you don’t just quit no matter life’s challenges, the oldest boy – all of 12 years old — sought assistance and showed leadership. This is the story that Ambassadors for Children likes to share, and rightfully so. The boy arrived to the organization’s Kid’s Closet and picked out clothes for his siblings, remembering every detail – right down to their favorite colors. He even saved himself for last. Such stories fuel the success of the Price Cutter Charity Championship presented by Dr Pepper, a PGA Web.com Tour event that aids numerous children’s charities of the Ozarks. This year, the tournament could eclipse the $12 million mark in total fundraising in the past 18 seasons. A year ago, the event hauled in a record $1 million-plus. And here’s your chance again to throw your support behind the Ambassadors for Children, a service agency of the Council of Churches of the Ozarks with a variety of programs. HELP AMBASSADORS FOR CHILDREN: The organization provides quality services and support to foster families in Greene, Christian and Taney counties. Call their office at 417-708-0565. FOR BUSINESSES: Restaurants, clothing stores and entertainment stops and others can donate a gift card with at least a $25 value in the name of your charity of choice to benefit them in the Golf Ball Charity Auction. TICKET REVENUE GOES TO: Contact the local charity of your choice, simply because they receive revenue directly from those TLC Property Charity Sweepstakes tickets marked with their names. KEY DATES: The tournament is scheduled Aug. 13-16 at Highland Springs Country Club. Check out our full schedule for events from mid-July through August. Kids aided by Ambassadors for Children receive brand new clothing as well hygiene products and tutoring. When the 12-year-old boy arrived to Ambassadors of Children, he was wearing baggy camouflage pants with holes and a large white shirt – the only clothes he owned. He also appointed himself responsible for the safety of his two younger siblings. So, at the Kid’s Closet, he selected pink and purple clothing for his younger sister, and made it a point to find stuffed animals, winter coats and so forth. However, he saved himself for last and, at first, declined to take a winter coat because his figured an oversized sweatshirt would suffice. 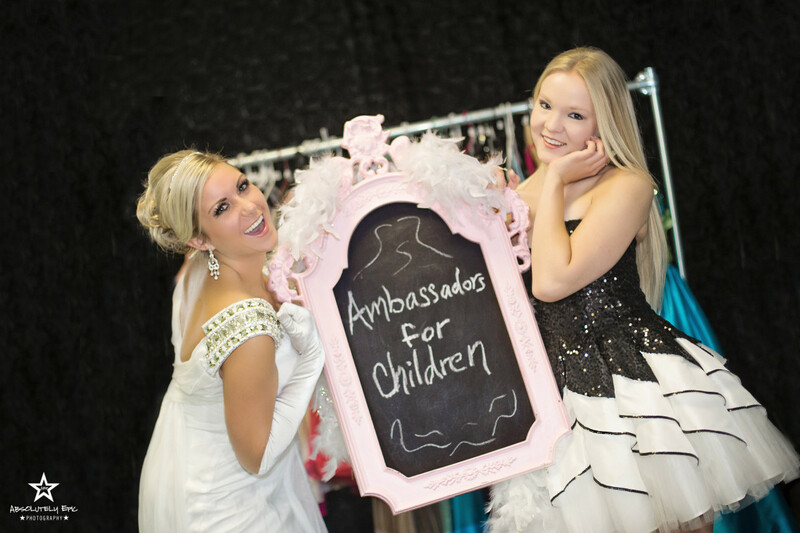 Ambassadors for Children really goes the extra mile, providing dresses for prom and other social events. Fay went on, emphasizing that the non-profit also provides tutors and a tutoring room. “Our foster kiddos soon find out there is a world of possibility available to them beyond basic clothing and hygiene needs,” Fay added. In most instances, the case manager applies for beds, mattresses, karate, ballet, swim lessons, summer camp, replacement eye glasses, graduation expenses and so forth. The clothing in the Kid’s Closet is brand new, as Ambassadors for Children strives to build self-esteem through giving away new items to children who never have had such an opportunity. The sense of self-worth experienced by the kids, when they try on new clothes for the first time, is priceless.